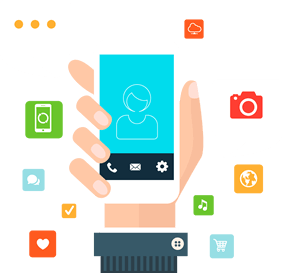 Government of India to consolidate 200+ Public Services into one single App; inviting bids. With the ecommerce industry booming, we have seen influx of online shopping websites in India. This is a good trend as quality of products and service has improved considerable with the competition. Online shopping sites provide the luxury of choosing, ordering and receiving quality products sitting at home free of cost without venturing out into the local market. Online shopping prices have improved drastically and often offers better and cheaper price than local markets if you do your online research diligently. With discount coupons floating around to woo customers, online deals are very tempting and not to be missed. From mobiles, smartphones, laptops to fashion accessories, online shopping has turned lucrative both for the consumer and manufacturers. Almost all shopping websites provide easy payment options through credit cards, credit cards EMI, debit cards, netbanking and cash on delivery with free shipping. Flipkart (www.flipkart.com) started their online business in 2007 with the objective of making books easily available to anyone who had internet access. Slowly they started expanding into other categories and is one of the largest e-retailers today. In Flipkart, you can do online shopping of Books, Mobile Phones, Digital Cameras, Laptops, Watches, Clothing & Other Products at Best Price in India. Free Shipping & Cash on Delivery Available. Snapdeal (www.snapdeal.com) started in February 2010 as daily deals and coupons website. Later they expanded into product retailing and is one of the largest e-retailers today along with Flipkart. eBay India (www.eBay.in ), India’s leading eCommerce marketplace, is India’s largest online shopping website where thousands of Indian entrepreneurs list a wide range of products across Electronics, Lifestyle, Media and Collectibles categories. eBay India has 5 million registered users from 4,306 cities in India. eBay India is a 100% subsidiary of eBay Inc.
Amazon India (www.amazon.in ) is the new entry to the ecommerce industry in India. Amazon is one of the largest e-retailers in the world and have recently ventured into the Indian market. Amazon is known from their top quality product line and excellent customer service. HomeShop18 (www.homeshop18.com) is the online and on-air retail and distribution venture of Network 18 Group, headquartered in NOIDA, India. HomeShop18 was launched on 9 April 2008 as India’s first 24-hour Home Shopping TV channel. The television channel established HomeShop18′s foothold in Indian retail because of high television penetration. Later, as the internet reach grew all over the country, HomeShop18 expanded to the internet. Yebhi (www.yebhi.com) went live in 2010 and is the fastest growing company in the lifestyle category in India. It powered the sale of multi brand Footwear online. They expanded into other categories like Apparels, Accessories, Bags, Jewellery and Mobiles. Yebhi started the REAL Try & Buy option First time in India. Customers can choose the items in different sizes, fits and colors & place the order, Try all the items once they get delivered and only Pay for the items you like and return the remaining to the Yebhi Champ. Jabong (www.jabong.com) is another major fashion and apparel online shopping website in India. Myntra (www.myntra.com) is a popular online fashion and lifestyle store for men, women, and kids. Infibeam (www.infibeam.com) is another popular online electronics, apparel, lifestyle, gadgets store. 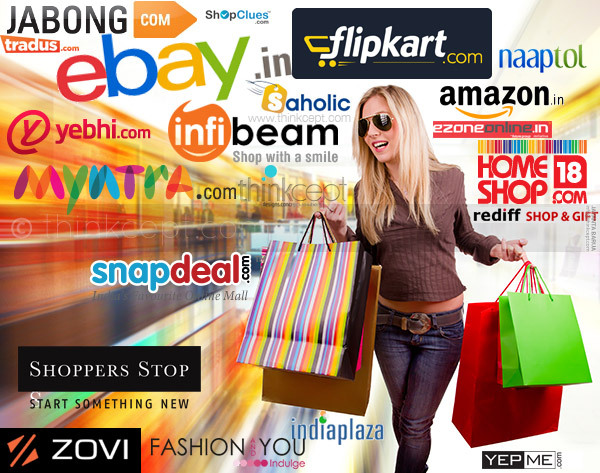 We listed the top online shopping websites in India. The list is growing and we will keep updating the article with new and popular online shopping websites. JayB is a tech enthusiast with a passion for gadgets and latest technology. Nice article. Thanks for sharing. You can also add Hydstores.com which is an online shopping portal in Hyderabad. Here you can find multiple branded products of various categories and can do online and physical shopping at the same time. Please check the catchfreedeal.com for online free and exclusive discounts from all major eCommerce website at one place. Thanks to sharing so many online shopping websites. I got a lot of benefit, but this list does not have the name of the Samshek. It is also a very good online shopping website. I have a shopping experience from Samshek. You can also add Zarood.com in your list. It’s also a well known online shopping portal in india. Very useful information for online shopping.thanks for sharing this. bhimart also known as bhimart, is India’s E-commerce company based in Bangalore, Karnataka it was founded by GM Group. bhimart is India’s local online shop. bhimart aims to provide good quality branded products to customers. Bhimart operates as a chain of hypermarkets, discount department stores, and grocery stores. bhimart.com helps you find the products and services available in your community, provided by local businesses. Yes, it is right you have shared some top online shopping websites in India. These websites are well known and have many online users from India. I am suggesting a new website BrandOMart for yourpurpose of online shopping of men and women clothing. Thanks for sharing amazing information regarding online shopping. Thanks for sharing this informative blog. Kancha is also top online shopping e-commerce website.